In recent years, we’ve seen massive changes to the way golf is played, not least through the introduction of indoor golf. 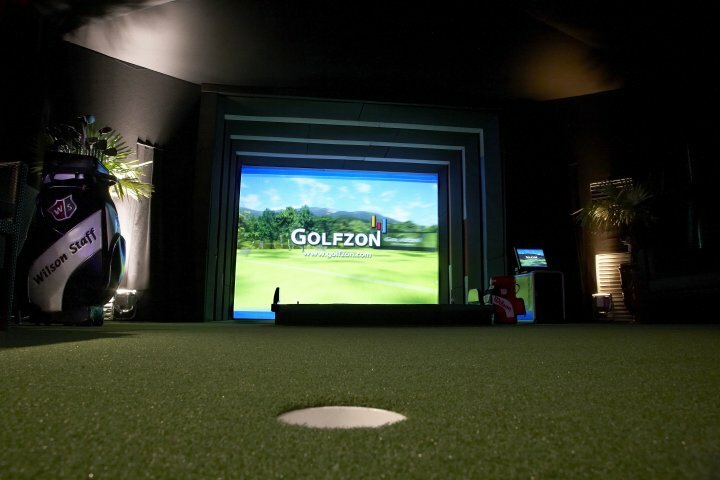 Indoor golf lets you practice and play golf in a range of ways which weren’t available just a matter of years ago, changing the experience of the game significantly for the better. This phrase doesn’t refer to a single pastime. Instead, it refers to a range of different golfing activities, all of which can be undertaken inside. For years, golfing enthusiasts have been trying to get ahead with their putting using various contraptions which can be used indoors. Now, though, the advancement of technology means there are a huge array of new and exciting ways to enjoy the game of golf from inside four walls. 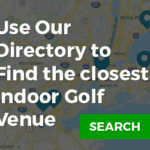 Using the module below, you can enter your zip code to find the nearest indoor golf location to you. 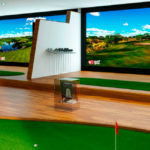 Gone are the days of golfing inside being limited to a little machine which spits your ball back at you after a putt, and today golf simulators are part and parcel of many golf clubs and stores. These come in many shapes and sizes, but the basic features are the same. Golf simulators are able to predict the outcome of your shot, even when it has only travelled a couple of meters. You can smack a driver into a net directly in front of you, and these handy devices will tell you whether it would have gone flush down the fairway, or flown off into the trees. Golf simulators work by collecting a huge amount of information about the flight of your ball from impact until the moment it crashes into the net, and extrapolating that information to create a holistic picture of where your ball would have gone after it hit the net. The exact data collected by simulators is not always the same, and the more high-quality products inevitably gather more data than the cheaper ones. In general, however, this information includes factors such as ball speed, trajectory and spin to determine what the rest of your ball’s flight path would have looked like. The systems which help to collate this information are complicated, but most simulators include a number of motion tracking devices around the perimeter of the screen into which you hit your ball, and can also involve various other pieces of technology, such as infrared beams. These systems send the information they’ve gathered to a computer, which in turn is able to create a prediction based on all of this data. Simulators have certainly become the most popular way to play golf inside, but there are a couple of others which can also draw a crowd. 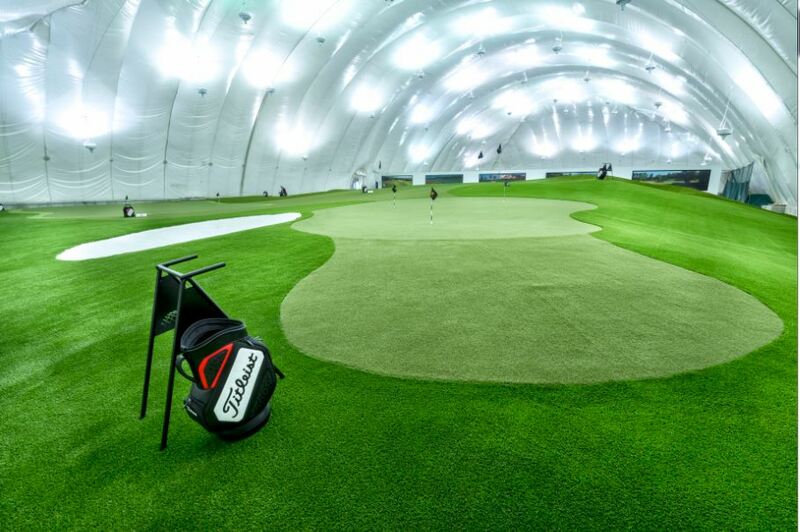 Indoor domes are one example; as the name suggests, these are basically driving ranges located inside a dome facility. These don’t give you the opportunity to see your shot in it’s entirety - instead you’ll see your ball fly for 50-100 yards before it comes to a stop - but they are a great way to play golf all-year round and practice your ball striking. Clearly these aren’t as high tech as golf simulators, but they haven’t become an integral part of indoor golf for no reason. The weather is always good indoors, and there isn’t the same reliance on the technology being accurate as there is with golf simulators. You might not be able to get the full picture of where your shot would have ended up, but you can get a reasonable enough idea. Plus, they give you the opportunity to spend more time worrying about the specifics of your swing, rather than the outcome of the shot. 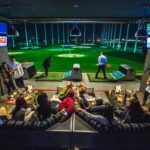 What is an indoor golf bar? Often, these locations are a great way to enjoy your passion for golf in a more laid-back, social environment than you would find out on the course. Mixing drinks, food and golf isn’t so feasible when you need to walk 18 holes, but when you’re playing an entire course from the comfort of one room it’s a little easier. How accurate is the technology used in simulators? The earliest forms of a new kind of technology are almost always flawed, but through years of research and development, golf simulators have become a very reliable and trusted way to practice your golf. The accuracy of individual simulator’s can vary significantly, and as is to be expected, the more expensive models are generally more reliable. The cheapest of them may cause you some problems, as we’ll discuss in more detail below, but you can generally get a very accurate model for a decent price. If you pay for a session at an indoor golf bar, or get a lesson at a golf store, you should be confident that the accuracy levels are very high. Thanks to the continually dwindling costs of this type of technology, many golf lovers now install simulators of some kind in their own homes. Imagine how much practice you could get in with one of these in your living room! Of course, there are certain benefits which you don’t get when you install one of these machines at home. For one, there will generally be no one there to tell you what you need to fix. If you’re using one of these machines for a golf lesson, your coach will be able to tell you why the simulator says your ball is slicing every time. At home you don’t have that luxury, but you do have the benefit of being able to get in more practice whenever you like. How much is it to install a home simulator? This can vary enormously depending on a wide range of factors. If you really want the best of the best, there’s every chance you’ll need to fork out $70,000-$80,000, counting the cost of the simulator itself, as well as a high quality net and mat. For most people this is probably unfeasible, but fortunately you can install everything you need for far, far less. Of course, the quality of the products will diminish the cheaper you go, but you can still get a decent quality simulator for well below this price. At the bottom end of the scale, some simulators only cost a few hundred dollars. The OptiShot is probably the cheapest of the lot, and this can be purchased for around $300. Unsurprisingly though, it doesn’t have all the bells and whistles that the more expensive simulators can lay claim to. The OptiShot measures your flight path through the speed and angle of your club, as well as your swing path, unlike higher quality simulators which also factor in the movement of the ball before it hits the net. As a result, the accuracy of this simulator is relatively limited. The difference between the $300 you’ll pay for a bottom-end simulator and $70,000 for a top of the line product is clearly pretty vast, and the budget for most people will fall somewhere in between. You can easily buy a relatively high quality simulator for around $2,000 - the Skytrak being a good example - spend another $1,000 on a decent quality mat, projector, net and impact screen, and have a very decent setup for around $3,000. Why do people play indoor golf? There are a number of reasons people are increasingly engaging in golf activities inside. For one, if you live in a location where inclement weather is a part of life, it offers the opportunity to play the game you love all year long. On top of that, it provides golfers with a chance to enjoy the sport in a variety of different ways, and often combine it with other social activities. Perhaps the number one reason so many people love golfing indoors, however, is that it allows you to play more. If you’re lucky enough to have the space to install a golf simulator in your own home, for example, you can dedicate a portion of each and every day to improving your game. 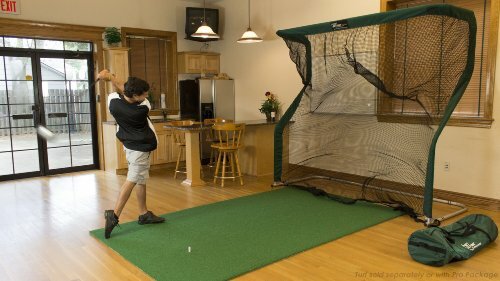 When you consider that the game of golf has been around for close to 600 years, indoor golf is an extremely new innovation. It’s popularity, however, is undeniable, and the number of ways available for players to enjoy it seems to be increasing by the day. With so many people committed to continuing to develop this revolutionary form of a very traditional game, and so many golfers eager to get involved with it, it’s only going to get bigger.